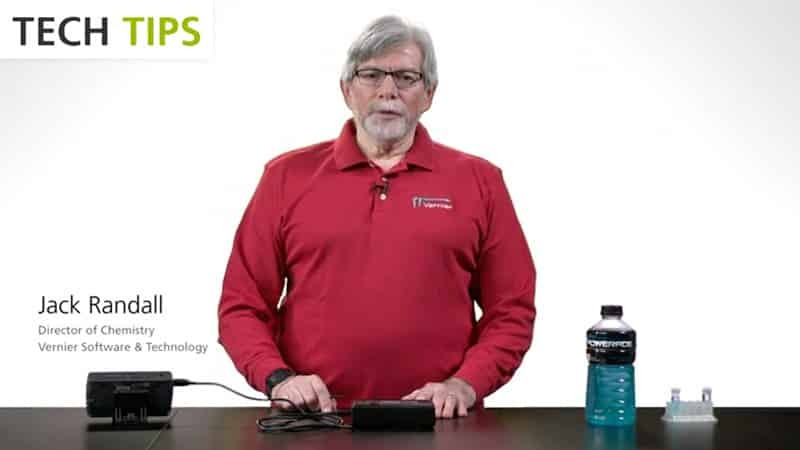 In this short video I will introduce the Vernier Colorimeter and demonstrate how to set up the Colorimeter with LabQuest 2 for Beer's Law experiment. Let's take a look at the features of the Colorimeter. A Colorimeter measures the absorbance of a particular wavelength of light by a solution. There are four wavelengths to choose from. Use the arrows to choose from these wavelengths; 430, 470, 565, or 635 nanometers. The cal, is the calibration button. The cuvette slot is located underneath the sliding cover. Make sure the cover is closed before taking readings, and the light needs to travel through the clear sides of the cuvette. To set up and collect data for our Beer's Law experiment, follow these steps. 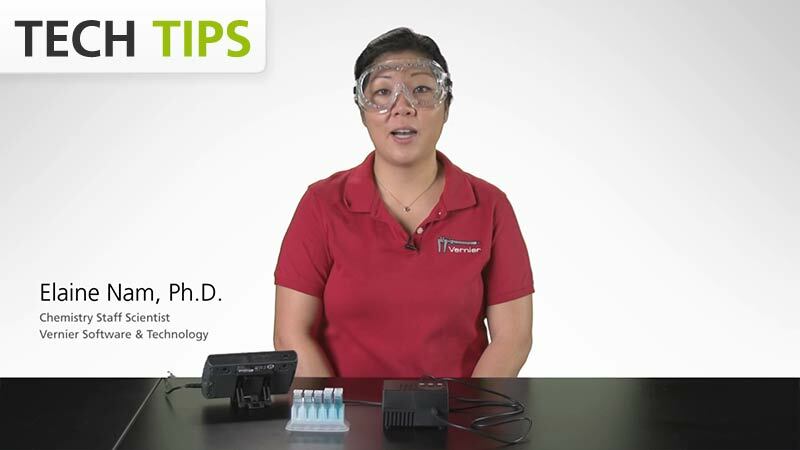 Connect the Colorimeter to LabQuest 2. The sensor will auto-ID. Select the wavelength for the experiment. This experiment will be using blue food dye, and I'm choosing 635 nanometers. To calibrate the Colorimeter, insert your blank into the cuvette slot. The blank is distilled water. Press the cal button. A red light will flash to indicate the Colorimeter is calibrating. For our Beer's Law Experiment, change the mode to events with entry where the entry for this experiment is concentration. 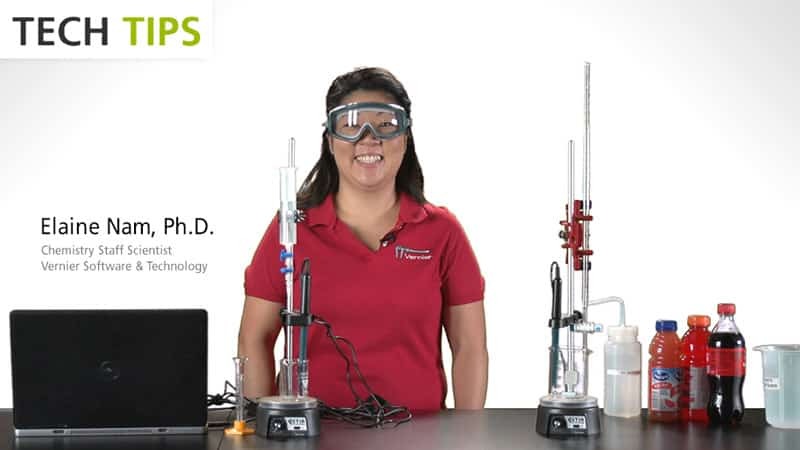 This will result in a graph of absorbance versus concentration. And my units are moles per liter. To begin the experiment, tap on the collect button. Insert your first sample into the cuvette slot. For these samples, I have arbitrarily determined them as .2, .4, .6, .8, and 1 molar. Once the reading has stabilized, tap on the keep button, and enter the concentration. Remove the sample, and place the next sample into the cuvette slot. Once the reading has stabilized, tap on the keep button, and enter the concentration. 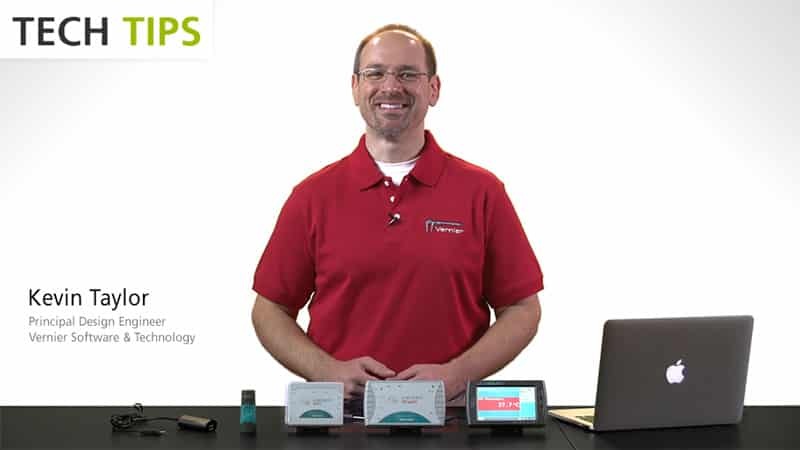 Repeat these steps for the rest of your samples. When you have finished, tap on the stop button. To analyze the data, begin with a linear fit. Tap on the analyze and choose curve fit. Under choose fit, tap linear. The best fit linear regression line is displayed on the right, showing the slope and the y-intercept. 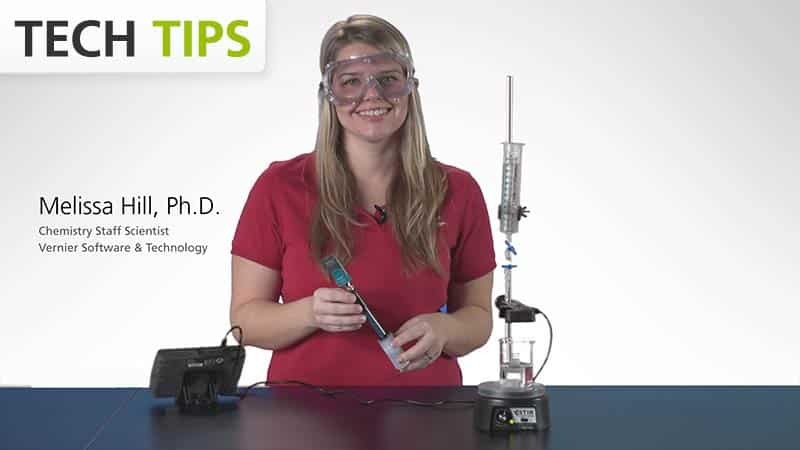 To determine the absorbance of an unknown sample, follow these steps. 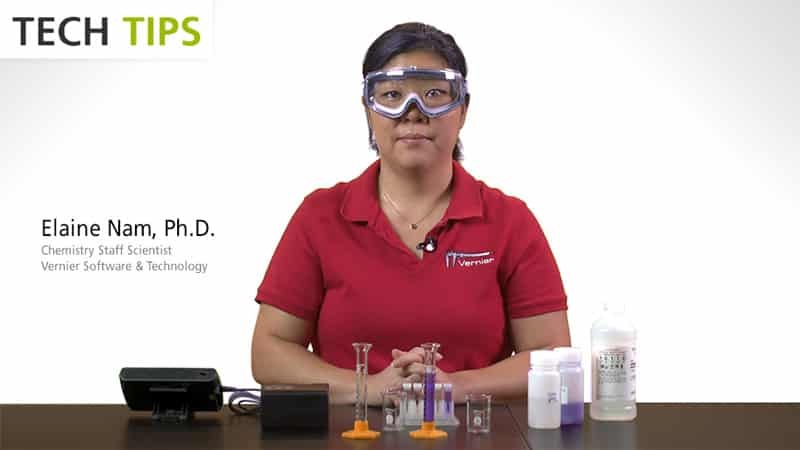 Place your unknown sample into the Colorimeter, tap on the meter tab, and record the absorbance value. This unknown sample is showing absorbance of .302. Tap on the graph tab, tap on analyze and select interpolate. 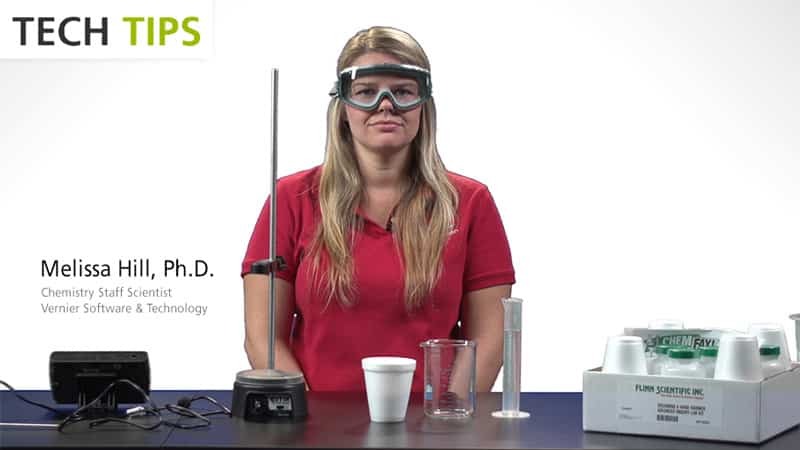 Tap along the graph to get close to your absorbance value. The absorbance reading is shown here in the upper right corner. My sample had an absorbance of .302. And you can use the little nudge tools here at the bottom to get close to that value. For this sample, the unknown absorbance has a concentration of .532 based on my calibration curve. That unknown value is displayed in the lower right corner. For additional information including troubleshooting tips, please refer to our user manual or visit our website.